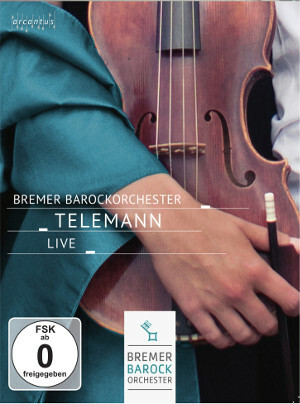 The Bremer Barockorchester was founded in 2015. Its unique style is characterised by a dynamic and intimate play which adds a richness and liveliness to the sound of Baroque music. The intense dialogue among the musicians evokes an air of spontaneity and improvisation that reminds of a chamber music concert. The orchestra has already gained international recognition with its live recordings. More than two million minutes of the BBO’s performances have yet been watched by internet users worldwide. Moreover, the orchestra has already collaborated with internationally renowned artists such as Ryo Terakado, Midori Seiler, Stéphanie Paulet, Veronika Skuplik or Dmitry Sinkovsky. The orchestra’s Artistic Director is Colombian-born cellist Néstor Fabián Cortés Garzón. He sets the lead – in typical baroque fashion – from within the basso continuo section.